Couchgrass, also known as Dog Grass and Quackgrass, is considered an invasive nuisance weed by gardeners, but it's also an important food source for various birds and foraging animals. In Europe, the leaf and roots of the plant are dried and burned as incense and are also prepared as tea. appearance & aroma Grass-like in appearance and aroma. cosmetic Infuse in hot water to make poultices or in oil for use in making salves and ointments. culinary Prepared as tea or tincture. Couchgrass can also be encapsulated as a dietary supplement. household Add to garden compost as an activator. 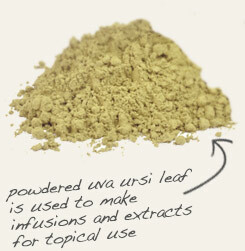 Blend with Uva ursi powder on topical formulations. 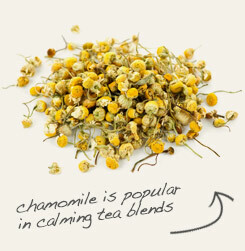 Combine with chamomile to produce a soothing tea. Couchgrass is a perennial grass that bears a resemblance to rye and wheat, but its tubular roots permit the plant to easily rejuvenate itself. In fact, this grass is considered a stubborn nuisance weed by most gardeners. To dogs, however, it is a source of relief for gastrointestinal issues, which is why the herb is commonly known as dog grass. Historically, humans have valued the plant for similar reasons. Coughgrass was recommended by the Roman physician Dioscorides, and the 16th century herbalist John Gerard wrote of its purgative qualities with, “Although that Couch-grasse be an unwelcome guest to fields and gardens, yet his physicke virtues do recompense those hurts.” People have also been known to roast and grind the roots of the plant during times when coffee and flour became scarce. Today, couchgrass is used in tea blends or is tinctured. Due to the mucilage content and the presence of agropyrene in the volatile oil, the herb is also used topically. 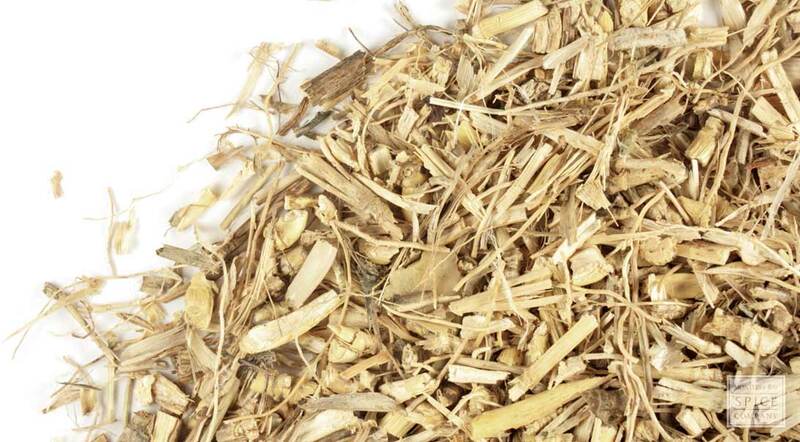 Background: At one time a decoction of couchgrass was a popular drink taken in the spring time. It was thought to purify the blood. In France today this is still a very popular. Description: Couch grass is a widely growing grass. It has long, creeping leaves. It has flowers that are green and are aligned in two rows. Couch grass is found all over the world and is a weed that can choke out other plant growth. It can be harvested year round.